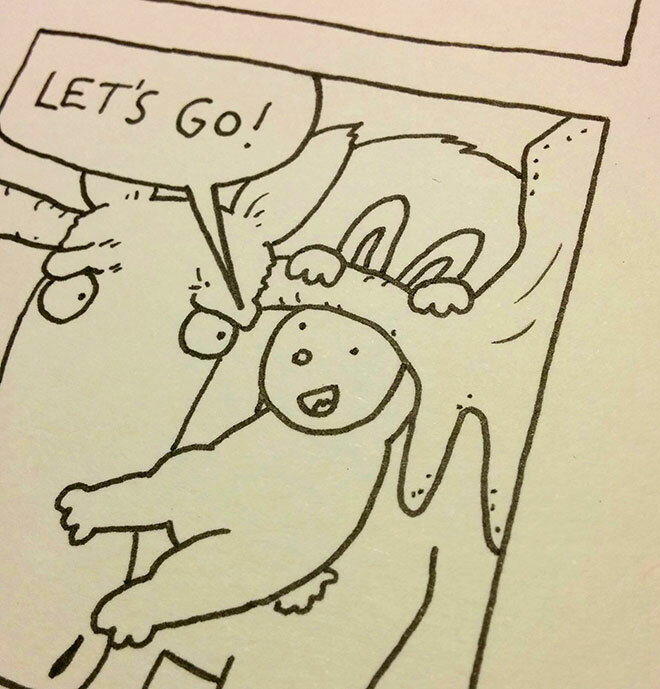 I’ve finished the script for my second Laser Moose and Rabbit Boy book. Yay! I’m happy to announce that a second Laser Moose and Rabbit Boy book is happening! I’ve finished the script and I’m drawing the pages now. Woohoo! 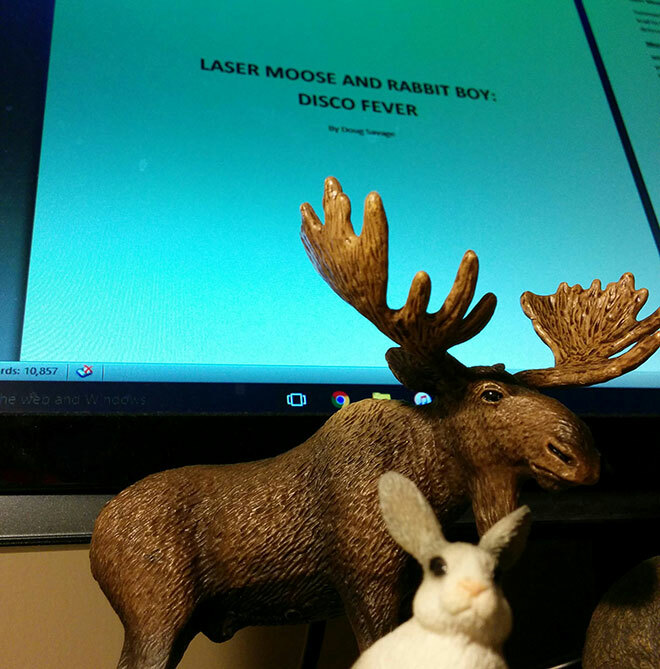 The new book is called Laser Moose and Rabbit Boy: Disco Fever. I’m really excited about working with all the folks at AMP Comics for Kids again. And it’s been so fun to write another story for these characters. For this second book, instead of three short stories, I’m doing one BIG story for the whole book. It brings back some familiar faces from the first book, and it introduces some new characters — including a new villain who just might be my most terrifying creation yet. I’ll have a pretty aggressive drawing schedule for the next few months, so I should apologize in advance for being slow to respond to emails. Scheduling challenges or not, I’ll still be drawing Savage Chickens every weekday, because I’m stubbornly determined to keep working on all of my creative projects at once! I’ve started drawing the pages for the new book. Rabbit Boy is ready for adventure! This is great news about another Laser Moose and Rabbit Boy book. I bought the first book for my 7 year old at Christmas and she’s read all three comics already. She’s excited for more adventures.